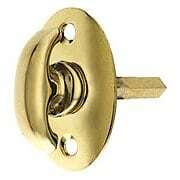 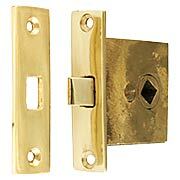 Solid brass crescent thumb turn with oval back plate for use with privacy mortise locks in Antique-By-Hand Finish. 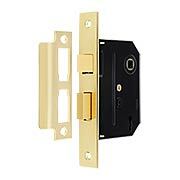 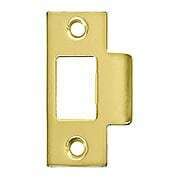 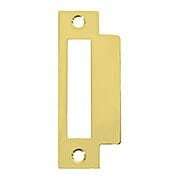 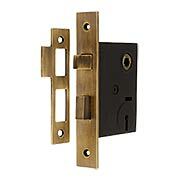 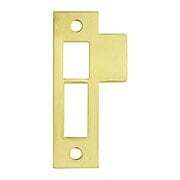 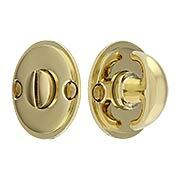 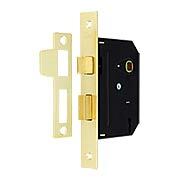 Solid brass crescent thumb turn with oval back plate for use with privacy mortise locks. 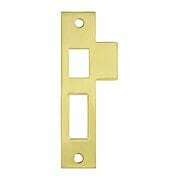 The oval plate measures 1 3/16" by 1 3/4". 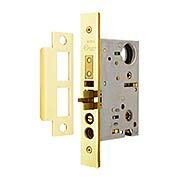 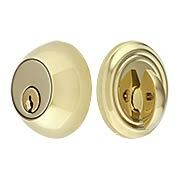 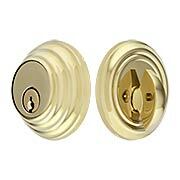 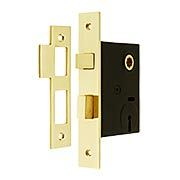 Tailored and understated, the classic “New York” deadbolt goes with everything. 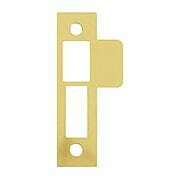 Whether your style is Victorian, Craftsman, or Mid-Century modern, these spare, beveled plates will fit right in. 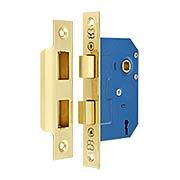 It’s constructed with forged-brass and top-quality internal components for smooth, long-lasting operation, and comes in six popular finishes. 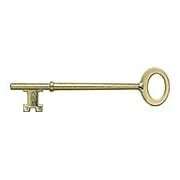 This pretty, antique brass plated skeleton key was designed to work as a master key for antique mortise and rim locks. 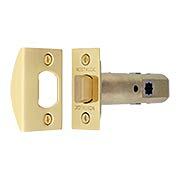 Featuring a triple notched bit, it's likely to operate around 30% of vintage locks (results not guaranteed). 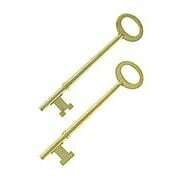 This pretty, brass plated skeleton key was designed to work as a master key for antique mortise and rim locks. 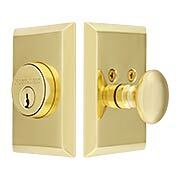 Featuring a triple notched bit, it's likely to operate around 30% of vintage locks (results not guaranteed). This pretty, brass plated skeleton key was designed to work as a master key for antique mortise and rim locks. 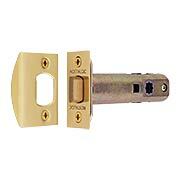 Featuring a double notched bit, it's likely to operate around 30% of vintage locks (results not guaranteed). 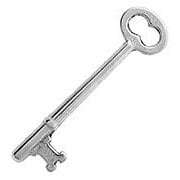 Our most successful master skeleton keys! 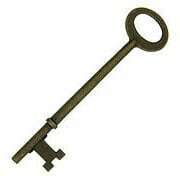 We've found that this pair of differently notched bit keys will typically operate 2 out of 3 antique mortise locks (results not guaranteed). 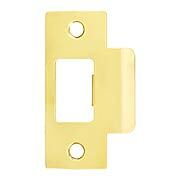 Made of zinc, with bright brass plating. 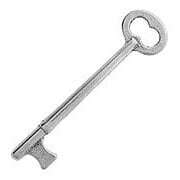 This strong and durable iron skeleton key is designed to work as a master key for interior mortise and rim locks. 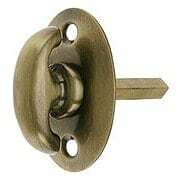 Featuring a plain flat bit, it may work on about 30% of old locks. 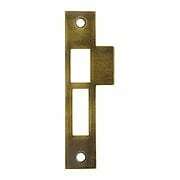 This strong and durable iron skeleton key is designed to work as a master key for interior mortise and rim locks. 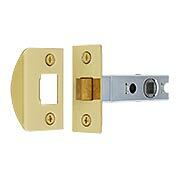 Featuring a triple notched bit, it may work on about 30% of old locks.